Millions of people use the Underground every day. It’s got to be one of the easiest ways of getting around London and, with so many stops, it’s one of the most accessible methods of transportation. Making such frequent journeys could rack up the pennies but, in 2003, London came up with a solution to combat expenses with the introduction of the Oyster card. What’s an Oyster card and how do I use one? In short: an absolute money-saver for single journeys around London. In full: an electronic ticket which you top up from your credit card whenever you need to (primarily) use the Underground – it also applies for the Docklands Light Railway (DLR), London Overground, buses, trams, boat services, and mainline stations within permitted zones. 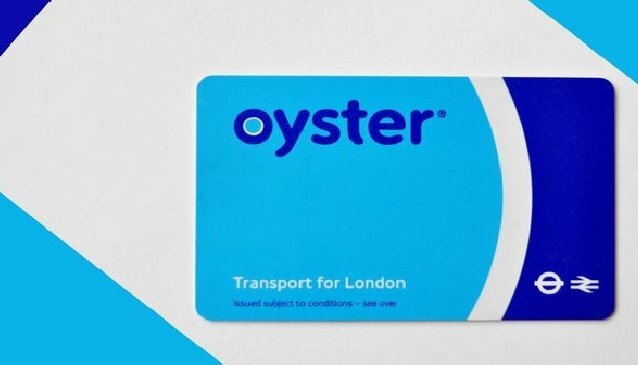 An Oyster card is the same size as your average ticket/credit card so it fits perfectly in a wallet and pocket; it’s a great solution for visitors in London making several journeys in a day. To use your Oyster card, approach the ticket gates at any Underground stop (or wherever else it applies to). Instead of inserting it into the ticket-receiving slot, simply press it against one of the coloured readers on top of the gate and you’ll be allowed to proceed. This is called ‘touching in’ because you can also ‘touch out’ when you go on your return journey in exactly the same way. It’s sensitive too, meaning you don’t need to remove it from your wallet – just press your wallet against the reader and the signal should pick up. Note: sometimes you might find the gates at a station are already open, and people are wandering freely through. In order to make your purchase or any recent top-up worth it, you might as well touch in even though the gates are open so it doesn’t waste you money for that day’s travel. How and where do I get hold of an Oyster card? At any Underground station you’ll find a specific Oyster card ticket machine where you can purchase one directly. They cost as much money as you want to store on there, starting at a fixed couple of pounds for peak and off-peak single journey Tube trips. You can also order online – which costs a little extra because of postage charges – or at selected mainline station offices (the closer you are to London, the more chance you have of being able to buy at a mainline office). The most an Oyster card can hold is £90, enough to see you through plenty of little London journeys. However, upon purchase, you can set up a process whereby if the stored amount of cash reaches a certain number, it automatically tops up for you. You can choose how much you want you want it to top up, or you can choose not to use the service at all. This method of money-handling is called 'pay-as-you-go' - just like on a mobile phone. If you don't want to use this method, the other one (which may not be best for briefly-visiting tourists) is to store longer-term Travelcards - you can store more than one at a time - to save having to buy one each day/week/month. So, if you’re paying London a visit and don’t want to spend more than you have to travelling around the city, get yourself one of these incredibly useful smartcards. They’ll save you having to buy separate tickets every time you make a journey and, once you have it, you won’t have to buy another one again when you come back.